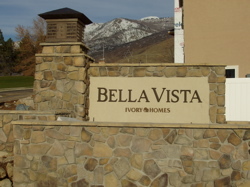 Cast metal letters and logos have always imparted a stately aura of permanence, style, and class on the sites they adorn. Perhaps this is because the underlying casting process itself has changed so little over the past 1000 years. It may also be because the letter casting process allows for the creation of the deepest, sturdiest, most beautiful metal letters and logos. Natural satin is standard but not the only option. Lifetime Guarantee on all finishes. Mounting hardware included with all orders with appropriate stud diameter for quality installation. All materials cast are lead and mercury free. Over 50 standard styles are more economical than sheet cut aluminum or bronze products. The depth in cast letters is unmatched. Custom logos are available at minimal expense–especially with repeat orders or duplicate pieces. Our hand finished letters come in 16 different finishes including polished, anodized or oxidized. On professional offices, universities and government buildings. When flat cut-out is too expensive. When needing a sense of permanency.